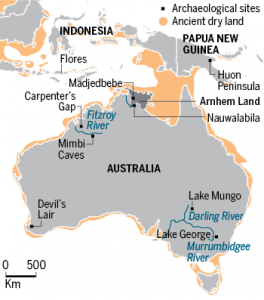 For the last decade, the debate has raged as to whether modern humans had resided on the Australian continent for 50,000 years or perhaps 60,000 years. The latest results stem from dating procedures carried out on over 11,000 artefacts from the Madjedbebe rock shelter. The site, formerly known as Malakunanja II, is now providing solid data that takes both of the previous hotly contested dates for human occupation and buries them in the dirt forever. 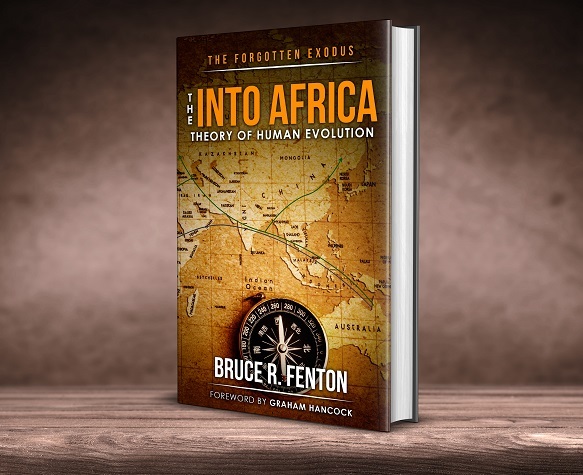 It is now beyond reasonable doubt that humans were present at the rock shelter for no less than 65,000 years, and the possibility exists humans were present over 80,000 years ago. The new research, published in the journal Science has huge ramifications for the widely accepted ‘Out of Africa Theory’ that claims modern humans left Africa around 70,000 years ago, only entering Australia many thousands of years later. The evidence that humans were in Australia far longer than usually claimed also confronts the theory that humans eradicated Australian megafauna as they entered the continent – it is now clear humans lived alongside numerous now extinct species for tens of thousands of years. 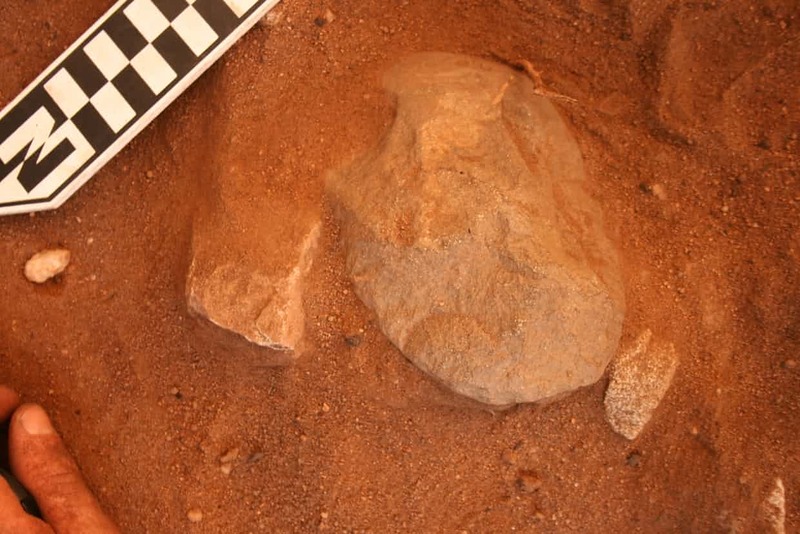 The lead author of the paper, Associate Prof Chris Clarkson from the University of Queensland, recognised the profound implications of the latest discovery. “People got here much earlier than we thought, which means, of course, they must also have left Africa much earlier to have travelled on their long journey through Asia and south-east Asia to Australia.” Said Clarkson. Clarkson and his team recognise that the new dating will be controversial, previous claims that the Madjedbebe rock shelter had seen human inhabitance for over 55,000 years were widely disputed by sceptics, but Clarkson is confident the processes used to date the artefacts “precisely” dates occupations to no less than 65,000 years ago. Carbon dating and optically stimulated luminescence dating were used to assess the artefacts antiquity, the latter being a technique that measures the radiative signature of a grain of sand revealing when it was last exposed to sunlight. In the deepest levels of sediment, some artefacts were estimated to be about 80,000 years old – or at least 95% likely to be older than 70,000, the report noted. The incredible collection of artefacts were found buried in 2.6 metres of sand and sediment on the western edge of the Arnhem Land plateau. The site at Madjedbebe is on the traditional lands of the Mirarr people, but currently within the confines of the Jabiluka uranium mining lease. “We’d like to tell people we were here long enough – tell all the Balanda [non-Indigenous people] about the stories, that people were here a long time,” said May Nango, a Mirarr traditional owner. The Mirarr community have retained total control over the dig and the artefacts.